What if I told you that you were more likely to injure yourself at work than if you dove into shark-infested waters? In honor of one of the most important weeks of the year (Shark Week), we want to alert you of ten workplace hazards to avoid that occur more frequently than shark attacks. If you don’t take precaution you could become the next victim of a third-degree coffee spill or a protrusive file cabinet attack. 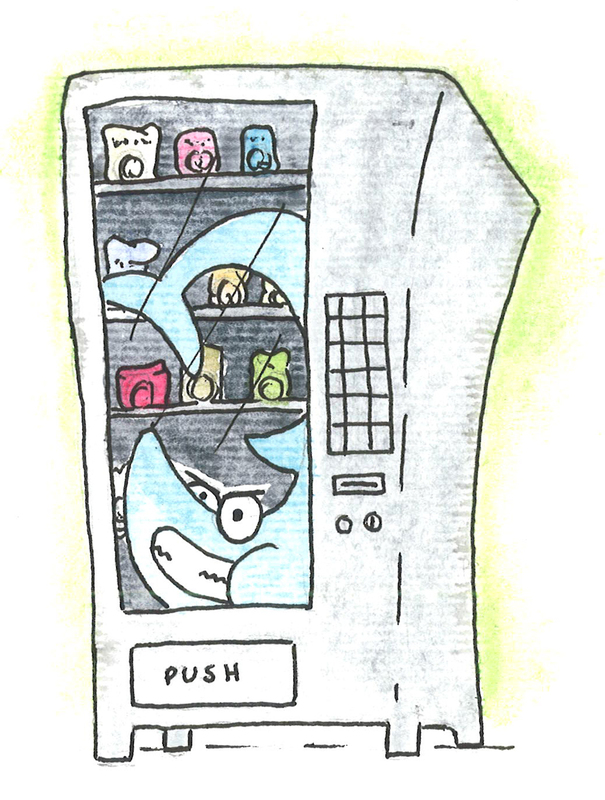 Vending Machines – Although many may not see this coin-operated snack box as a threat, the numbers say otherwise. A 2011 Freakonomics article cites that “the yearly risk of dying from a shark attack is roughly one in 250 million. In contrast, the yearly risk of dying from a vending machine accident is roughly one in 112 million. The margin may be slim, but these very heavy machines are workplace mainstays. So, the next time you enter the break room, be cautious, lest you become the snack. 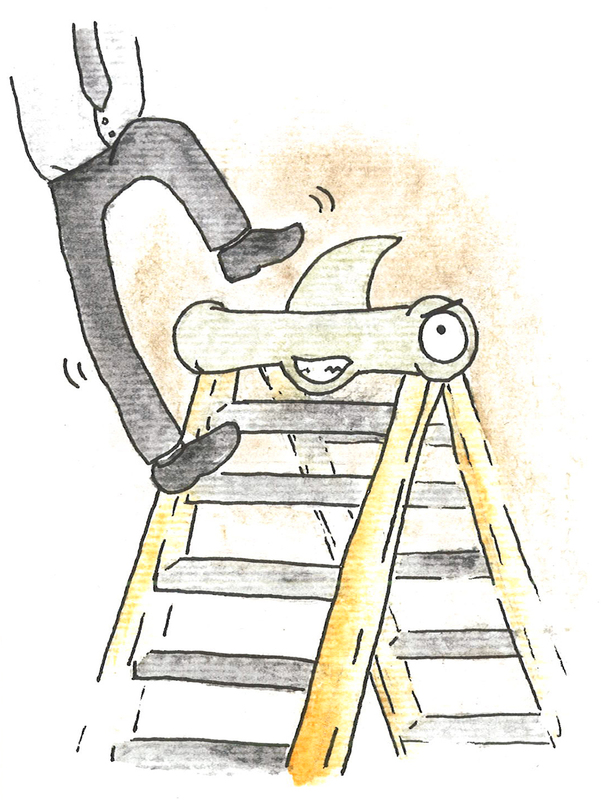 Sick Co-Workers – Just as swimming with sharks isn’t recommended, no one wants to be working alongside the unwell. So if you’re sick, stay home. A CareerBuilder survey estimated more than 70 percent of ill employees go into work anyway, thereby risking the health of those around them. Don’t test the waters – stay in bed. Such Great Heights – You’re reaching for something on the top shelf, and somehow, the stepladder disappears from under your feet, and all you hear is, “Hey, man, how’s it hangin’?” Although the wisecrack may sound innocent, its source material is no laughing matter; in fact, the University of Illinois at Chicago reported that falling accounts for the greatest number of disabling injuries. In fact, the rate of office workers falling is two and a half times the rate for the unemployed. Not so funny when the joke falls on you…literally. Heavy Lifting – Whoever said office jobs didn’t involve heavy lifting never had to organize multiple boxes of computer paper. Remember: Bend at your knees, not at your waist. Otherwise, back pain could rear its ugly head – some of it irreversible – so remember this safe-lifting tip and carry on. Pun intended. Coffee Spills – We’re not just talking irritating stains, but scalding burns that sear your skin (not to mention the disappointment of wasting a perfectly brewed cup). Fair warning to the caffeinated: When rounding corners at work, slow down, because coffee in the cup is like blood in the water: asking for it. Getting Caught in Objects – Ever got your hair caught in the printer? Neither have I (yet), but it sounds painful enough to mention. 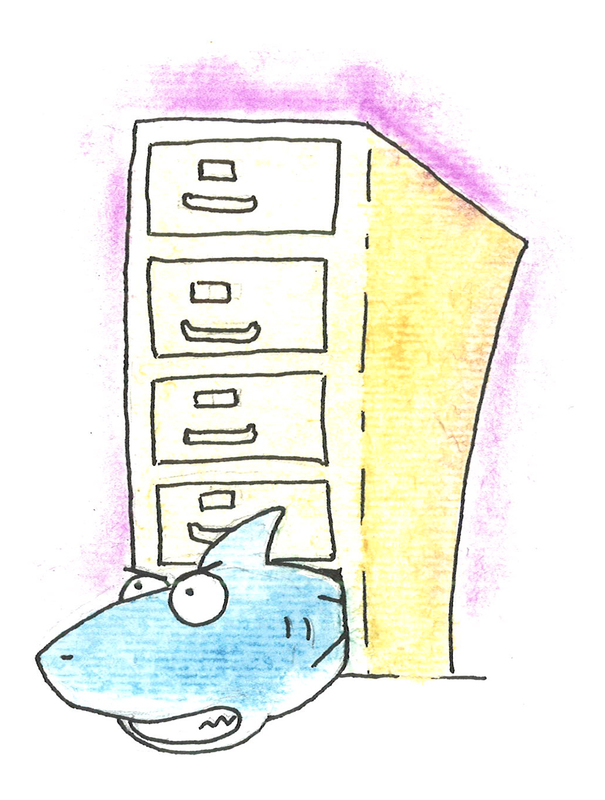 Monitor Staring – We actually have a bona fide solution for this situation. Staring at a bright screen all day can leave your eyes dry and tired. To remedy this, every 20 minutes, look at an object 20 feet away for 20 seconds. This will relieve your strained peepers and restore your focus. Air Fresheners – Per The Dodo, 1996 closed with 2,600 room-freshener injuries .That same year, only 13 people were attacked by sharks. What’s really more dangerous? Now that you know how dangerous the workplace can be, the next time someone screams “Shark!” at the beach; you’ll have little to fear. 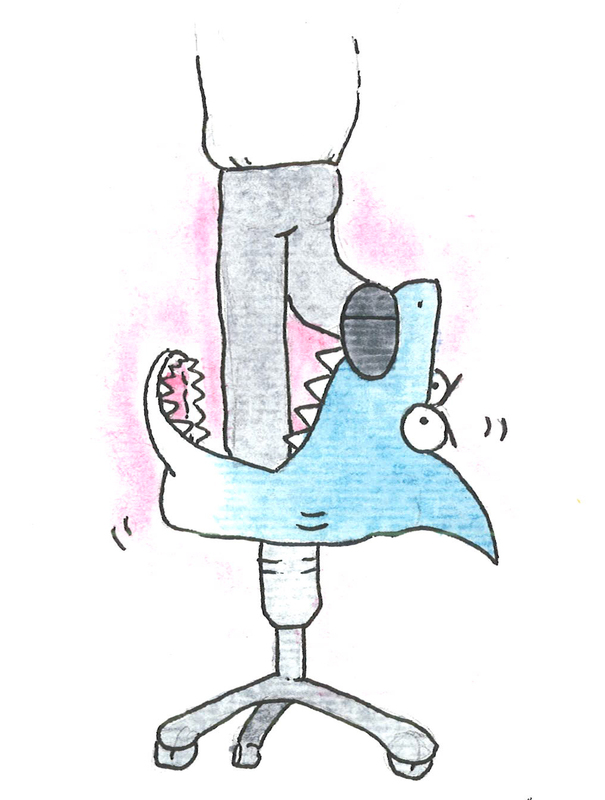 After facing the gaping jaws of a swivel chair, an ocean predator will be the least of your concerns.